With over 6,000 Greek islands to choose from – well, 300 inhabited ones – it can be hard to narrow down which ones to visit. Everyone has heard of the usual suspects, like Mykonos and Santorini, but there are incredible islands waiting to be discovered if you’re willing to venture off the beaten path. Here are some of the best islands in Greece to visit if you don’t want to spend your trip squeezing into tiny spots on busy beaches, or weaving through crowded streets. Since the islands I’ve chosen are lesser-known, most of them don’t have airports, but they’re all easily accessible by ferry (and even more easily accessible by an Adventure Cruise). If you, like me, don’t want to spend your week navigating ferry schedules, a small ship Adventure Cruise is the ideal way to get around and experience the hidden gems of Greece. From the moment we pulled up to Sifnos, I knew I would love it there. The quaint whitewashed houses and restaurants with beach-side pergolas stretched out before us. A large Santorini-bound ferry had just left the port, leaving our small ship carrying about 30 passengers to be the largest boat in the port of Kamares. 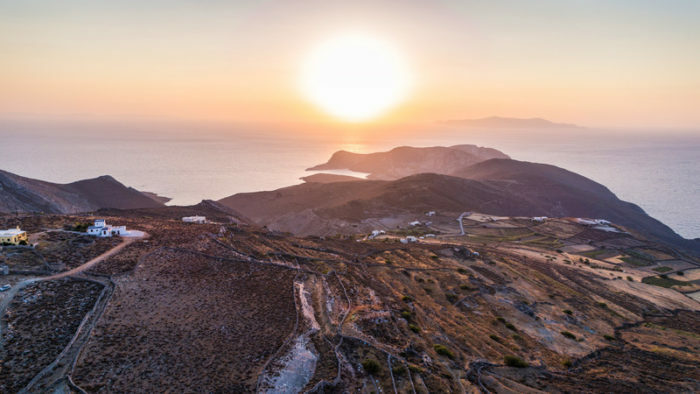 While Sifnos isn’t yet overrun with English-speaking tourists, it is becoming increasingly popular with Greeks exploring their own country. I always made an effort to greet shopkeepers and restaurant servers with a quick “yasous” or “kalimera”, and they almost always spoke back to me in Greek. 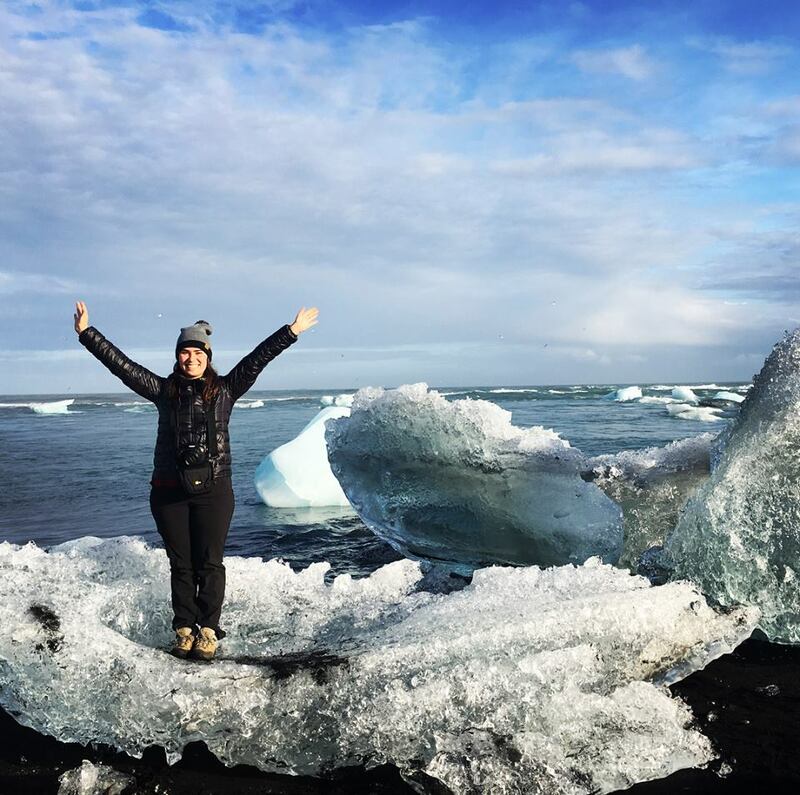 Each time I felt a slight twinge of victory; my accent was passable, and I had discovered a place where assuming the tourists spoke English wasn’t the default setting. The town is filled with quaint tavernas, jewellery stores and pottery shops. This is fitting, since the island is known for its food scene, for once being the site of gold and silver mines and now for the traditional pots made from the island’s clay deposits. As an included activity on our Adventure Cruise, we visited a local artisan in his pottery studio for a demonstration. We spent a lovely afternoon with Yiannis and his German shepherd in the workshop on a hill overlooking the town. Be sure to taste some of Sifnos’ culinary delights too. It owes its reputation as a foodie destination to Nikolaos Tselementes who hailed from Sifnos and wrote a Greek cookbook back in 1910. It features the island’s famous clay pottery dishes including baked chickpeas and stewed lamb. And while they’re famous for their dishes baked or stewed in clay pots, I have it on good authority from several men on my trip who made a point of eating gyros at every stop we made, that their gyros was pretty good too. Sunset dining at To Plakostroto. Syros is the legal and administrative capital of the Cyclades. This accolade incited as much excitement in me as you might expect. Who doesn’t love admin? Although it sounds like it’s the Greek island to go to if you love paperwork, it really means it’s one of the only islands that’s up-and-running year-round. However, it’s not as crowded as the islands that are almost exclusively dedicated to tourism. The main port leads you to Ermouppolis town, a 19th-century town that snakes up twin mountain peaks – one topped with a Catholic church, the other with a Greek Orthodox church. You can hike up through the city to either peak for sweeping views of the the town below. For even better views, take a taxi up to the village of San Michalis. 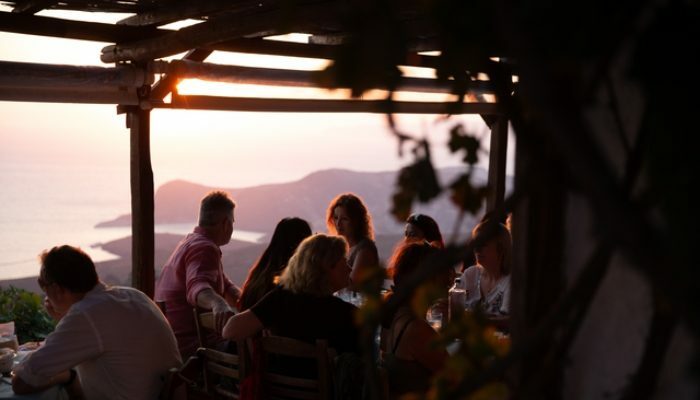 My group dined at To Plakostroto, a Greek taverna that served plates meze-style, offered unreal views of the sunset and was filled with locals enjoying their authentic fare. Speaking of food, Syros is well-known for its unique flavours that aren’t found elsewhere in the Cyclades. Some local specialties include San Michalis cheese, a strong and spicy hard cheese, fennel pie made with locally grown wild herbs, and tsipouro, a spirit similar to raki (a clear liquor you might sample elsewhere in the Cyclades). If you like marble squares, historical theatres, beautiful beaches, a buzzing cultural scene that extends beyond the summer months and friendly cats roaming free, Syros is the place for you. And while the nightlife may not quite rival Mykonos’, there’s no shortage of bars and restaurants that, in true Greek fashion, you can enjoy from dusk till dawn. Kythnos is of the least-visited islands in the Cyclades. Despite its proximity to Athens, the sleepy island has yet to make its way onto tourist itineraries, which meant we had the island almost to ourselves. After a swim stop off the back of the boat near Kolona, a picturesque strip of sand with two bays on either side, we docked in the main port of Kythnos. Our group had the choice of touring a cave that used to be an iron mine, visiting the natural hot springs or walking around the small port town. I opted to explore the town and then enjoy yet another espresso freddo (two shots of espresso poured over ice) on the beach, but those who visited the mine raved about how interesting it was, and those that visited the hot springs looked even more relaxed than I was! Kythnos is the perfect place to spend a lazy afternoon. Our local leaders were easily able to make a reservation for our whole group at a local restaurant. We sat on the beach with our feet in the sand and ate fish that had been caught that morning. And after we left cash on the table and got up to leave, the woman who owned the restaurant practically chased us down the street to offer us homemade loukoumades. Although we were stuffed, we graciously accepted them and wondered if that would have happened on Santorini. My group wandering through charming alleys in Paros. Those in the know may roll their eyes at me for calling Paros off-the-beaten path, but that’s the beauty of it! It seems French celebrities and fellow Greeks are the only ones who have discovered perfectly picturesque Paros… for now. Since it got its own airport in 2016, Paros has quickly gained popularity, but thankfully it has yet to become a destination for big cruise ships, which keeps the crowds at bay. Our trip to Paros started with a local-led stroll through the charming villages of Naoussa, Parikia and Lefkes. They are brilliant examples of the traditional whitewashed Cycladic houses that come to mind when you think of the Greek Islands. Each turn revealed another elegantly draped bougainvillea vine or an immensely Instagrammable blue doorway. In addition to quaint villages, this island has pretty much everything you could ask for: beaches, seafood restaurants, lively beach bars and ancient churches. And in the capital of Parikia, chic boutiques replace the souvenir shops that line Santorini’s and Mykonos’ high streets. From the woman at a cafe that offered us freshly baked cookies and peeled figs at no extra charge, to the water taxi driver that was convinced to make a special trip for our group to a nearby beach, the people of Paros were warm and welcoming to tourists. For an island with even fewer crowds than Paros? 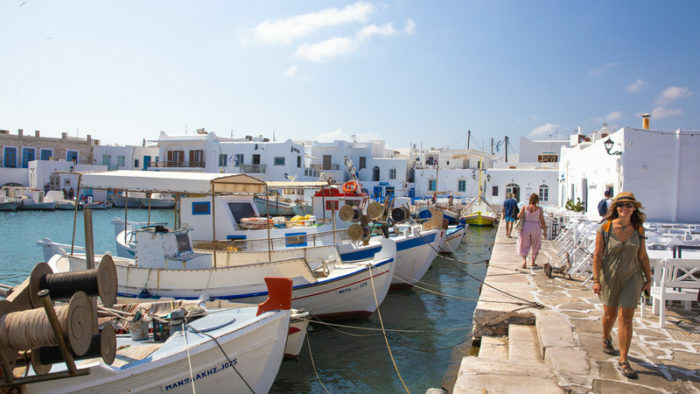 Take a 10-minute water taxi over to neighbouring Antiparos for an island that’s even less busy but just as idyllic. 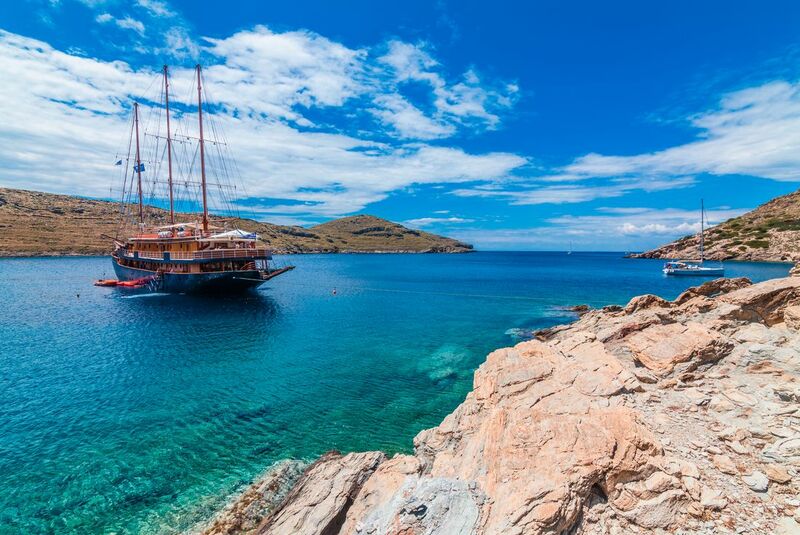 Explore some of the best and most underrated Greek islands on our Cruising the Islands of Greece and Turkey tour.